We do live in a wonderful world. Most of the companies I know have a lot of tools to help their employees do their work. Especially where knowledge is the basis of their business, modern ESN (Enterprise Social Networks) offer the opportunity to share everything employees needs to share. The bigger a community is and the longer it exists, the harder it is to get all of the pieces together to get an overall view of a topic. There is information in groups, Teamsites and OneDrive documents, in E-Mails and even in messages and streams. And of course in the heads of all employees. Employees, as well as the management, need a way to extract and make this information more valuable through an upcycling process. The goal is to create smarter paths through this forest of information and emphasize the parts which are necessary and helpful to other employees. In my eyes, only valuable content creates benefit. Extract Content: Before I talk about upcycling content, Companies should ask themselves: “Do we really have and published all the knowledge we need?” Although people have the possibility to share information they sometimes don’t do it. They don’t want to, they can’t or they just forget. Barriers are widespread. Especially when employees leave the company they are mostly not willing to share something anymore. Companies face the same situation with employees going into retirement. 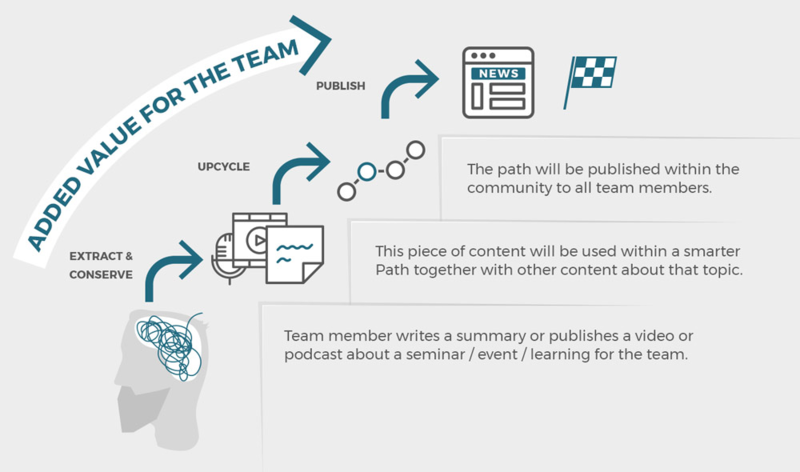 Upcycle Content: Over the lifecycle of a community more and more content will be created in different formats. It should be the claim of every company to take this content and bring value to it. This means to make it relevant, consistent, engaging, trustworthy, useful and authentic for most of their employees. What does content upcycling mean exactly? What I want to add at this point: not all content has to be recreated through the company. With the right tools it is possible to use existing information from your community (Jive, O365) and share it in smarter paths with every employee. Additionally, not all the time HR has the responsibility to spread knowledge within the company. Every employee should be able to prepare and share knowledge. I believe that once the content has been upcycled and published, companies are able to reduce the flood of information employees have to face day by day and the time people have to spend searching for the right information. Also, I think that through valuable content people do learn faster and more efficiently. Valuable content that is easy to find and is enriched trough personal experiences can and will help people to understand a topic better, learn faster and put new skills into action as soon as possible. This is not only more effective, but – in the long run – a lot more sustainable! 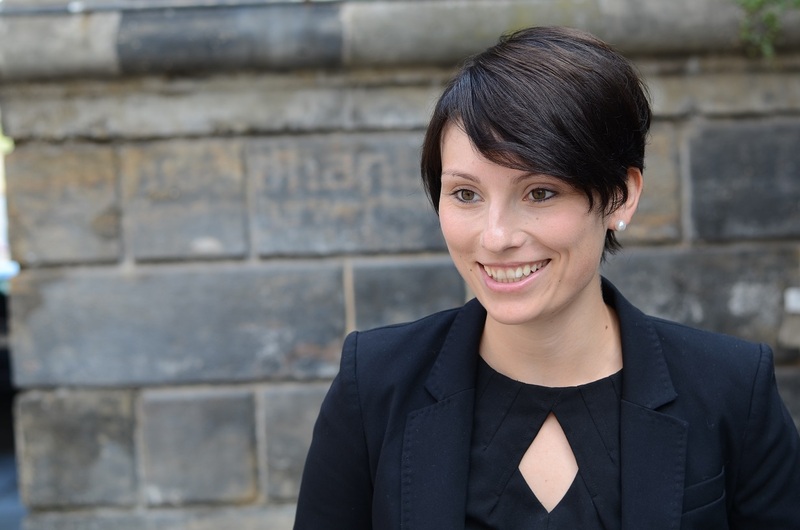 Sandra Brückner, who studied business informatics at the Technical University of Dresden, has worked as social business consultant since 2012. She joined the Berlin-based social business consultancy and technology provider Pokeshot in the beginning of 2014 and works since more than two years as Chief Procust Officer for all products.